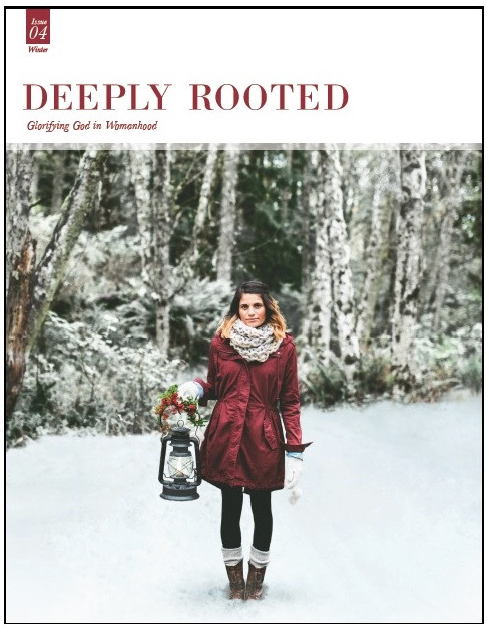 Have you guys heard about Deeply Rooted Magazine? The best way I can describe it is that its aesthetic is like an Anthropologie catalogue - gorgeous photography and design - and its content is theologically rich. What a rare, needed combo. Besides articles on Christian womanhood, there are also recipes, artist interviews, and DIY projects. And though it's technically a magazine, it feels much more like a book. Not something you'd toss out easily, and there's so much great content that it takes a while to get through. For this upcoming issue, I feel so honored to be one of the contributing writers. (!!!!) The Winter issue is available for pre-order now and will be shipped December 8. I'm already stocking up for Christmas presents and can't wait to hold one in my hands! Congratulations Whitney!!! I ordered my first issue when you posted a picture on instagram and have been hooked ever since! This magazine is exactly what this mama and wife needed!! I can't wait to read your article! I'm so glad! It's been such an encouragement to me, too. That is fantastic, Whitney! I just ordered my first issue on your reccomendation. I cant wait to read you article! Yay! Thanks Anna. I know you'll love the magazine. Amazing! I need to get it!!! You'd love it, Kir! So refreshing. Here are some of the advantages of implementing for financial financial loan with through the facilitation of this related assistance. If you want to ask what is purple loans and if you need to pay them to link you with payday loans lenders the response is no.